What's The Cheapest Rental Available In Raleigh, Right Now? According to rental site Zumper, median rents for a 1-bedroom in Raleigh are hovering around $1,210. But how does the low-end pricing on a Raleigh rental look these days--and what might you get for the price? Here's a studio apartment at 211 Ashe Ave. in Hillsborough, which, at 260 square feet, is going for $700 / month. The building features assigned parking and on-site laundry. In the unit, the listing promises high ceilings, air conditioning, hardwood flooring, a walk-in closet and built-in storage features. Both cats and dogs are welcome. Then there's this single-family home with one bedroom and one bathroom at 426 Alston St. in South Central, listed at $825 / month. The house has a front porch, pine walls and carpeting. This 1-bedroom, 1-bathroom condo, situated at 631 Daniels St. in Hillsborough, is listed for $1,100 / month. 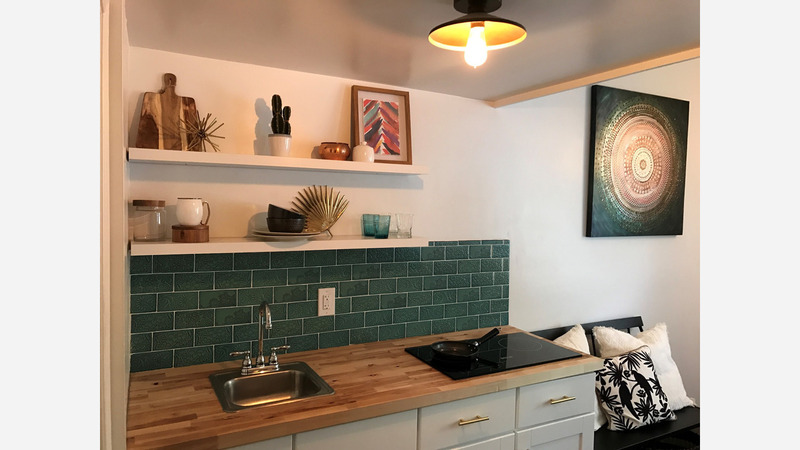 In the ground-floor unit, look for air conditioning, hardwood flooring, a dishwasher, stainless steel appliances, in-unit laundry and great natural lighting. Unfortunately, pets are not permitted. And here's a 1-bedroom, 1-bathroom apartment at 2841 Manorcrest Ct. in Six Forks, which, with 738 square feet, is going for $1,195 / month. The unit has granite counter tops, in-unit laundry and a private balcony. Over at 2601 Noblewood Cr. (at Mellowfield Drive) in Six Forks, there's this 923-square-foot 1-bedroom, 1-bathroom apartment, going for $1,209 / month. In the sunny unit, you'll find both air conditioning and central heating, a mix of hardwood floors and carpeting, a balcony and deck, garden access, a dishwasher and in-unit laundry. For those with furry friends in tow, know that cats and dogs are welcome on this property. When it comes to building amenities, expect garage parking, a fitness center, a business center and outdoor space.